Spring is such a great theme! I wanted to collect all the spring arts and crafts we have done over the years. There are so many fun things to do. I have over 50 printables and activities on the site! Loads of activities for you to check out. It is going to have a collection of spring themes. That would be rain and change to spring. I have picked out all the posts that match up to that. Including printables, arts & crafts, and gross motor. There are loads of different spring printables on the site. I’ve collected them over the years. There are some that fit best with certain themes and I’ll be sure to share those links here as well. You are going to find ABCs, learning to reading, writing, numbers, letters, spring themed packs, math and more in these printables. I have sorted some of them by type. Some of those other spring themes are: flowers, bugs, and Earth Day. Spring Pack and Spring Pack Update are some of the first spring packs on the site! They are loads of from with varying activities. Spring 2 Pack is a pack that goes with the book There Was an Old Lady Who Swallowed a Frog! . The Spring Learning Pack is wonderful for older age kids from Kindergarten through Third grade. There are loads of activities for reading and math. Flower ABCs and Sight Word Themed Finds are prfect for spring. Spring Life Cycle Sequencing Sets: Ant, Butterfly, Frog and Ladybug more fun sequencing sets for spring. Mini Baseball Themed Sequencing & Spring Sequencing Cards Sets has great sequencing activities for spring time. Rain Themed Number Counting Mats are 4 different mats for counting from 1 to 20. Rain Themed Number Find has nubmers 0 to 20 with number digit and number work. Flower & Rain Ten Frame Activities: No-Prep & Hands-On are two fun sets of printables that work on numbers 1 to 20 with ten frames. Spring is such a fun theme and time of year. There are always fun crafts that you can do. Spring happens to be one of our favorite times. 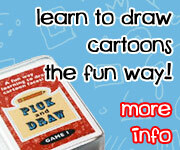 You are going to find painting, hands-on activities, and fine motor. Ways to Use the Spring Dot Marker Printables is a fun hands-on fine motor and craft for spring trees and flowers. Spring Blossom Tree Painting is a great painting activity to hang in your window. Easy to Paint Watercolor Spring Birch Trees is a fun spring tree painting activity. Spring Mural is a fun way to start looking at spring. Spring Yarn Tree are great for fine motor and a pretty spring tree. Spring Art Work: Spring Blossom Tree and Stamping Flowers are two fun spring crafts to do! Looking for Spring is a fun way look for changes at spring starts. Spring Art Work has a great spring window and a fun paint stamping activity. Tissue Paper Spring Blossoms is a great spring tree activity. Fun Fine Motor Spring Themed Washi Tape Tree makes a great spring tree and works on fine motor. Texture Watercolor Spring Tree is a fun watercolor painting activity. The Falling Rain Drop is a great book and craft about raindrops and their feelings and emotions as they fall from the clouds. Making Rain Drops is another painting activity with a matching book. Tissue Paper Rainbow is a great spring craft to have in your window. Washi Tape Rainbow Wreaths are fun and great for fine motor. Hand Print Rainbow is loads of fun to make for kids. Watercolor Rainbow Process Art is a fun activity to make rainbows with watercolors. Torn Scrapbook Paper Rainbow is a fun fine motor craft for kids to make. Torn Scrapbook Paper Spring Tree is a fine motor craft that kids can make and not know they are working on fine motor skills. Spring Themed Gross Motor that is loads of fun with the book There Was an Old Lady Who Swallowed a Frog! . 30 Days of Moving with Kids is fun outdoor and indoor ideas for kids to do. This entry was posted in round up, spring and tagged ABCs, math, numbers, spring. Bookmark the permalink. Trying to download weather pack but it won’t let me. It used to all the time from my phone. My computer internet doesn’t work but the safari on the phone did? I would read over the Printables Help and Errors. It has suggestions for when you have an error like this. The most common thing that helps is using a different browser on your computer and making sure you adobe is up to date. Wow. You are just amazing. Thank you. Trying to put together some spring themed learning for my kinder and preschooler and you saved me lots of time! Love your printables and the sheer variety! Best thing on the Internet. Ahh thanks! I’m glad that you like them. I have put a lot of time into them.